Codero Review 2019: Is Codero a Good Hosting? Codero is an American hosting company invested in Cloud and dedicated servers for medium and large business owners. Their Hybrid hosting plan provides excellent service to companies with different data storage needs and high data traffic requirements. 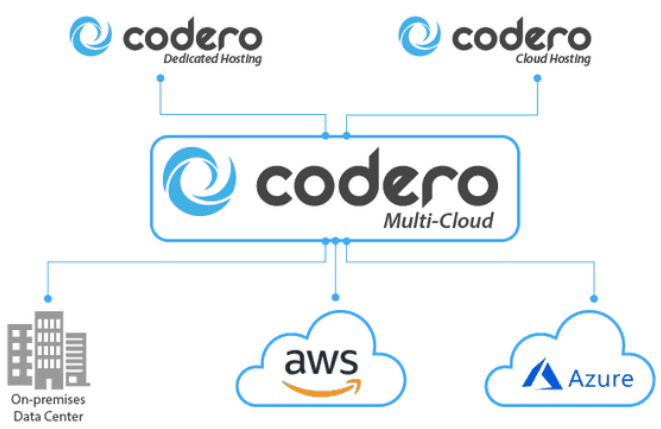 Codero is an American privately owned company that dedicates their operations to managed and Cloud hosting, as well as other IT services that allow thousands of their customers to scale their online footprint. Established in 2009, Codero owns three data centers located in Dallas, Phoenix, and Ashburn, which allow smooth service with 99.95 percent of uptime guaranteed. Managed dedicated servers where you get to choose every aspect of your hosting service. This kind of service gives you a complete freedom to find your own balance in order to have the most efficient hosting package. The setup is free, with loads of interesting features like unlimited inbound bandwidth and free multiple IP addresses with option to add even more IPs for a fee. The choice of OS is entirely up to you, with various versions of Windows and Linux OS depending on your preferences. Additionally, there is a chance to ask for an alternative OS installation if you don’t approve of the previous two. Finally, there is a long list of third-party apps and tools that you can install for free as well as for a certain fee. Managed Azure and AWS Cloud hosting allows users to leave behind the troubles with updates and maintenance, which could lead to severe cost reduction in a long run. Codero experts will take care your server is online, secure, and available. You create your own hosting plan by deciding which level of management you need from backup to full-time server management. Hybrid Multi-Cloud hosting is a great solution for large business clients where different compartments have their individual IT requirements. This hosting service is also fully customizable, allowing users to choose any cloud and configure their optimal set of features such as storage, bandwidth, OS, control panel, and third-party apps. The price range of any hosting service with Codero depends on the choice of configuration and services you take. However, the overall impression is that they have competitive prices for the type of service and features that Codero has to offer. Codero managed customizable hosting service is a real refreshment in the pool of premade plans that don’t always work for everyone. The fact that even the level of management is customizable shows the scale of their ambition to build completely custom hosting solutions. Wondering how Codero stacks up against other Web Hosting companies? Enter any other Web Hosting company and we will give you a side-by-side comparison.